Ladies and Gentlemen, The Avett Brothers. I’ve been going on about this a long time and it’s finally here. 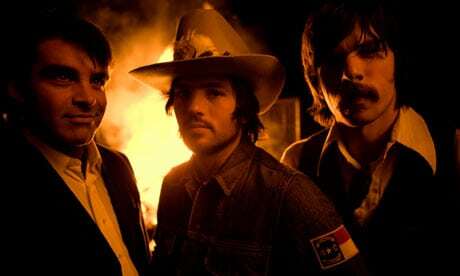 The Avett Brothers session and interview comes to Another Country this week. It’s been a long time coming. I first read about the band last year in American Songwriter and, to be honest, got them a bit confused with the Felice Brothers and various other sibling outfits. Since then the band have made I and Love and You, signed to Columbia Records and been produced by Rick Rubin. The last three things are pretty interconnected. More importantly they came to BBC Scotland to records 3 songs for nother Country and a couple of days after the session (I was on football duties in Manchester with my 9 year old son the day they came in) I had a chat with Scott and Seth. What else, Ricky? I hear you say…. New music from Bonnie Prince Billy and The Cairo Gang(yes, another moniker! ), a fave track from the new Jakob Dylan album and more from Audra Mae– one of the great discoveries of 2010. 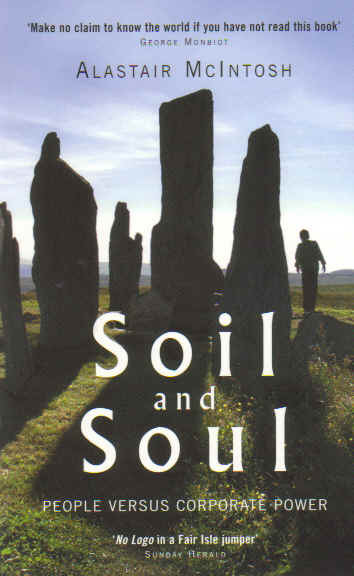 He’s Alastair McIntosh and he’s the author of Soil and Soul and I cannot recommend the book highly enough. He’s also a great conversationalist, wonderful thinker and living prophet. You could do a lot worse than listen to him for an hour…you’ll probably wish you could go on longer! All at 8 a.m. Sunday on BBC Radio Scotland. The book recommendation was one that for some reason inspired me to check the book out online, and I now already have a copy winging its way towards me! I’ve been very bad at tuning in for the Sunday morning show, but I’ll be there this week without a doubt. Great show and absolutely loved that Avett Bros. My pal Michael has been quoting them for a very long time now and as usual he is spot on! Bit Van the Man-esque in parts. Great show and enjoyed the Dixie chicks offshoot as well. This morning was one of the best hours radio I have heard in a very long time. Absolutely brilliant program Sunday morning. What an exceptional human being. So here I go trying to track this book down over here behind the Cactus Curtain. Great interview, and you sounded like your were thoroughly enjoying the discussion……how could you not??? Oh, and he liked “Knights In White Satin,”too. Yep that is the group and the song my mom discovered at 84…….and played it and played and played……..God bless them both. Just finished emailing the President of Arizona State University. We need to get Mr. McIntosh over here as a guest lecturer for the Institute for Sustainability, a program that involves almost everything that he covers. The dynamics of community here in the USA definitely needs a positive, proactive, human approach. Thanks so much for a great program, again. This was such a inspiring hour of radio – a delightful and engaging interview. I have just listened to it all over again. Thank you. Thanks for all your comments folks. We’ve had lovely feedback on this show and it really is great to know you liked Alastair as much as I did. I think you’ll enjoy Peter Owen Jones this Sunday too.